Territory Steel is able to supply CSP in Galvanized and Polymer-Laminated finishes. 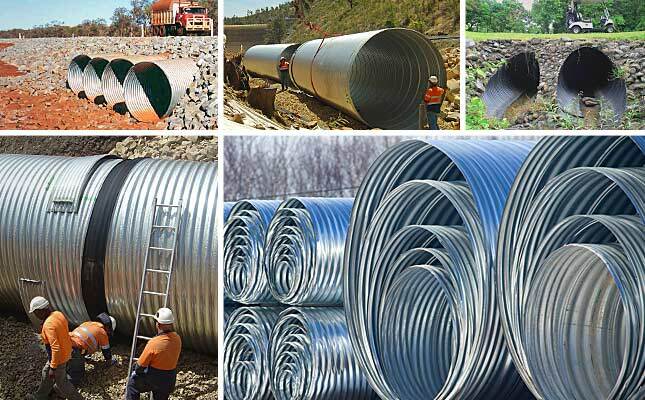 Corrugated Steel Pipes are available in a variety of sizes and thicknesses to meet a wide range of structural designs. Thicknesses are 1.6mm, 2.0mm, 2.5mm, 3.0mm and 3.5mm. 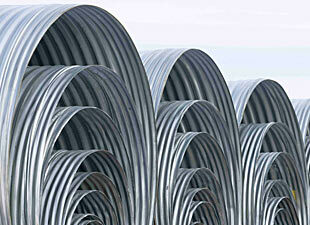 Corrugation profiles are 68x13mm, 75mm x25mm, and 125x25mm. Custom lengths are available from 4m to 12m however 6m and 12m with an easy fit Joiner Band to join multiple lengths together.